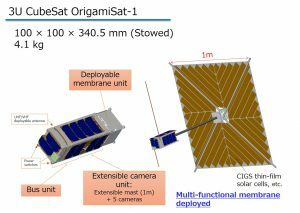 At the request of the Tokyo Institute of Technology, AMSAT hereby designates OrigamiSat-1 as Fuji-OSCAR 98 (FO-98). 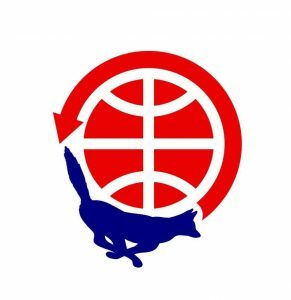 We congratulate the owners and operators of FO-98, thank them for their contribution to the amateur satellite community, and wish them continued success on this and future projects. As you probably know, AO-85 has had issues recently with the batteries dropping precariously low during eclipse. We think it’s likely the batteries suffered degradation due to heat during previous periods of no eclipses. This has made it difficult to keep the satellite available for use without endangering the batteries. Today the nominally 3.6v pack was down to 2.8v at the end of the eclipse. That is dangerously low. In an effort to extend the usable life of the satellite, this evening we turned both the IHU and the transmitter off. This ceases all transmissions, including the beacons every two minutes in both sunlit and eclipsed parts of the orbit. We will periodically turn the satellite back on for an orbit or two, in order to gather telemetry. If all goes as planned, we will turn the repeater back on during the next period of no eclipses beginning around January 24th. In the meantime, it is important to leave AO-85 tracked in your FoxTelem setups, in order for us to gather telemetry and keep tabs on the situation. If you do happen to hear a Veronica beacon, or either the normal repeater or the COR/no telemetry repeater, please let the AMSAT-BB know, or send me an email or message directly. United States residents over age 70 1/2 may distribute up to $100,000 annually from their Individual Retirement Account (IRA) directly to qualifying charities, like the Radio Amateur Satellite Corporation (AMSAT), without first having to declare the distribution as income. That means your income will not increase, enabling you potentially to remain in a lower tax bracket for income taxes and possible Medicare premium surcharges. Donating directly from your IRA to AMSAT could have more tax advantages for you than a direct personal donation, depending on your personal tax situation. To make this kind of donation, first contact the custodian of your IRA plan (e.g., the bank, mutual fund, brokerage, insurance company, etc.) that manages your IRA, and instruct that you wish to make a donation to AMSAT directly from your IRA. The check from the custodian must be made payable to the Radio Amateur Satellite Corporation. Your custodian will then send you a 1099 form showing you, as the owner of the IRA, did not receive the income for your personal use. Most custodians will have you complete a direct donation form, and will mail the check directly to AMSAT. AMSAT greatly appreciates any size donation from your IRA. Please call the AMSAT Office at 301-822-4376 for help with any information or mailing instructions required by your IRA custodian. AMSAT strongly encourages those interested in supporting AMSAT through an IRA to consult with their attorney, accountant, and tax preparer or financial advisor to determine the implications and impact of such a gift on your personal situation. Thank you for supporting AMSAT! The Radio Amateur Satellite Corporation is an IRC 501(c)(3) organization (tax identification number 52-0888529).